The shared library systems platform (SLSP) will transform the working environment for all library staff at member institutions even though much of the work that libraries currently do will remain the same. The SLSP presents an opportunity to change the way we work within the system and with one another. The roles of PASCAL member library staff, in the SLSP environment, will vary depending upon their job responsibilities. Within the SLSP, staff may create and manage records, provide system support, run reports, conduct inventory, or provide reference assistance. While many library staff may not see their day-to-day tasks change significantly, the way that they accomplish those tasks may change. Monitor and participate in listserv discussions, surveys, etc. as relevant. Provide feedback on proposed policy or workflow changes. Communicate with their Library Representative on matters that require feedback and/or local decisions. Collaborate with library staff from other institutions as appropriate. 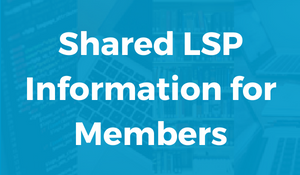 All member library staff are encouraged to participate in relevant SLSP communication channels such as e-mail listservs, webinars, surveys, workshops, etc. These communication channels will provide opportunities to discuss enhancements, ask or answer questions, and report or resolve technical issues. Local decisions related to the SLSP are determined by input provided by PASCAL member library staff. PASCAL member library staff may be required to read draft versions of policies, procedures, workflows, and other documentation created by the Working Groups. If the documentation requires a decision, they will convey their personal decision along with any relevant feedback to their Library Representative. The Library Representative will compile feedback and decisions from all stakeholders within the institution, and will communicate this information to the relevant Working Group. SLSP system training will be coordinated and scheduled centrally by the Implementation & Management Team. Additional local training coordinated by member libraries may also occur. All relevant training opportunities will be communicated appropriately through established communication channels. Last updated November 2, 2017.